The hot summer weather is starting to make its way into Barcelona and that means people are spending more time outside and on the beach. During a steamy day, there is no better way to beat the heat than to indulge in some refreshing ice cream. There are so many delicious ice cream shops in Barcelona that offer traditional flavors as well as many out-of-the-ordinary tastes. We have picked out 7 of the best stores to help you choose the right place for you. This ice cream shop is located behind the Catedral de Barcelona, making it the perfect place to grab something sweet and enjoy on the steps of the Cathedral. What makes Gelaaati so unique is their array of savory flavors along with the sweet flavors. For those who are feeling adventurous, go ahead and try the parmesan and olive oil flavors! Head here with some friends and get an assortment of savory and sweet flavors to share. Gelaaati is a must while walking around El Gòtic neighborhood. Ottimo creates the highest quality, natural ice cream while adding authenticity because of its location in the quaint area of Gràcia. The natural ingredients are made into a variety of flavors that include fresh strawberry and delectable ‘dulce de leche’ (toffee). They even have selections of gluten and lactose free ice creams for those looking for an alternative. You can enjoy an ice cream (or two!) and the culture in the Plaça de la Vila, which is right outside. This Barcelona ice cream shop is located in El Gòtic area making it the perfect shop to go by after sightseeing or dinner. Belgious takes ice cream to the next level because of its focus on fresh ingredients and unique flavors. Some of the creative and favorite flavors include Rosemary, Black Olive, and Mango. In addition, Belgious makes some of the best Belgian waffles and crepes that are a wonderful addition to the ice cream. As you can tell from the name, this is definitely an intriguing choice. With a close proximity to Barceloneta Beach, Eye Scream and Friends is the perfect ice cream option after a relaxing day by the water. 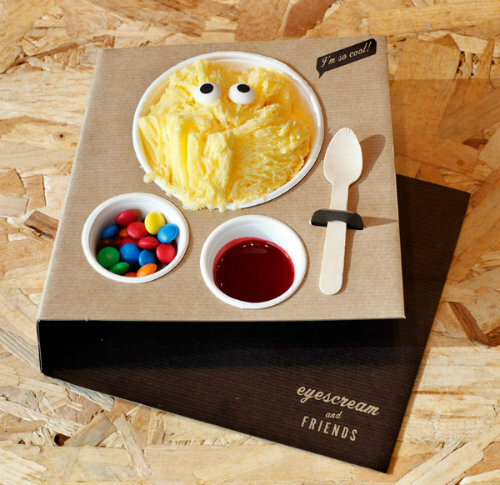 This Barcelona ice cream parlor offers an exciting topping to its already delicious ice cream – adorable googly eyes. This detail adds a fun part to the ice cream, perfect for children! This ice cream parlor adds a gourmet twist to your traditional ice cream. They not only offer ice cream, but also chocolates and desserts if you want a little something more. Some of their choices include fruits of the forest cheesecake, whisky and nut, and lychee. If you are looking for something more upscale than your regular ice cream shop in Barcelona, add Vioko to your list of places to head to this summer! The ice cream at Delacrem is definitely for those who treat their ice cream as a lifestyle. All of their ice cream is made fresh daily, ensuring the best quality for each of their customers. For each of the flavors, ingredients are chosen carefully and the entire process is carried out with great detail all the way until the ice cream is in the customer’s hand. All of the ice creams here are gluten-free allowing anyone to enjoy their handmade selections. Stop by this Barcelona ice cream shop for a truly original experience. 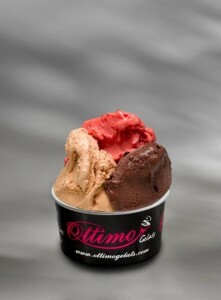 Located on Las Ramblas, Amorino is the perfect place to stop during the summer after a long day of exploring the city. This ice cream shop was founded on a passion for making the best ice cream out there, and customers will surely agree it is after trying one of the many delicious flavors. With many new and also traditional flavors, you will definitely find a taste that suits you, like amarena cherry, coconut, and tiramisu. We suggest you get a cone to see the beautiful flower that the employees create out of the ice cream! Ice cream is the perfect cooling treat for a hot summer in Barcelona, so make sure to stop by one or all of these unique ice cream shops for a truly refreshing taste of the city. 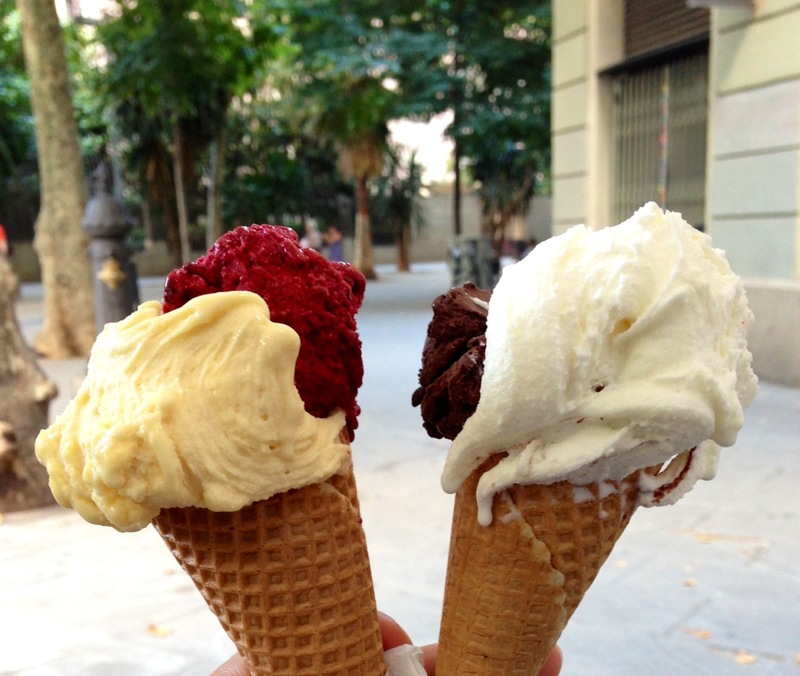 This entry was posted in Places, Restaurants & Food, Summer and tagged Barcelona in summer, food and drink in Barcelona, ice cream, ice cream in Barcelona, ice cream parlours in Barcelona, ice cream shops in Barcelona, things to do in barcelona. Bookmark the permalink. Barcelona escape rooms… time for an adventure!